After an on-the-job injury, your employer may act like it’s no big deal to file a workers’ compensation claim on your own. Unfortunately, that is exactly what your employer’s insurance company would want you to do. That way it would be just you against a team of insurance company attorneys who know the South Carolina workers’ comp system inside and out. Don’t put your health and your financial future at risk by trying to go it alone. Talk to the experienced and respected Rock Hill workers’ compensation lawyers at Mickle & Bass today. Attorneys Ann Mickle, Alan Bass, Andrea C. Roche, and Derrick L. Williams are all former members of the South Carolina Workers’ Compensation Commission. They have presided over thousands of workers’ compensation cases and understand the tactics insurance companies use to fight claims. Schedule a free consultation to discuss your claim today. Whether you have just been injured or are facing a denied claim, we are here to help. We do not charge clients for our legal services unless and until we recover a workers’ compensation settlement for them. Why Choose Our Rock Hill Workers’ Compensation Attorneys? Four of the Rock Hill workers’ compensation lawyers practicing at Mickle & Bass spent over 20 years among them presiding over hearings involving countless types of claims before the South Carolina Workers’ Compensation Commission. In contested cases, they were called upon to decide how much money and/or what type of medical treatment an injured worker received. We understand that most people seeking workers’ comp benefits have real workplace injuries and honest needs. But we also know how many claims get denied based on aggressive insurance company tactics. We know how the S.C. Workers’ Compensation Commission works from the inside — how commissioners discuss claims, what makes a claim work, and what makes a case go bad. Because we’ve been there, we can identify problems that may come up in your claim and take steps to fix them before it gets to the S.C. Workers’ Compensation Commission. We can gather evidence that clearly documents the extent of your injury or illness, as well as showing how and why it keeps you from returning to work. We can strengthen your claim by presenting second opinions from physicians or specialists other than those chosen by the insurance company. We will take the burden off your shoulders, so you can focus on your recovery. Your rights under South Carolina workers’ compensation law mean little if you don’t fully understand them and how to protect them. Our attorneys have the extensive experience and knowledge you need to navigate this complex process. Contact us today to schedule a free consultation and learn about your rights. Workers’ compensation is an insurance program that most employers in South Carolina are required to provide. It is a no-fault insurance program, meaning injured workers qualify for benefits regardless of blame for an accident. Eligible workers are covered for any physical injury or illness, emotional injury, or mental illness if the injury or illness occurred on the job or within the “course and scope” of their employment. Workers’ compensation pays all medical expenses (surgery, hospitalization, prescription medications, medical supplies, prosthetic devices, etc.) and a percentage of your wages for a set amount of time while you recover. The program makes specific payments to workers whose injuries cause disfigurement or impairment / disability, or to a worker’s survivors in cases of work-related death. Insurance companies have already identified a variety of workplace injuries and illnesses, and what they can expect to pay for them based on previous cases and statistics. They do not plan to take into consideration the specifics of your case. Insurance company representatives are legally obligated to their employer and have no obligation to you. They do not have to be honest with you about what you are entitled to. Their role is to hold the line on payouts. Experience tells insurers that if they deny a claim, a good number of injured workers will give up and drop it, regardless of how badly you’ve been injured. When insurance companies have to fight a workers’ compensation claim, they hire trained, experienced, and dedicated lawyers of their own to represent their interests. You should not try to take on insurance company attorneys on your own. You need a Rock Hill workers’ compensation attorney who truly understands how the system works and what it takes to build a strong claim for compensation. Contact us today to learn how we can help. A consultation is free. 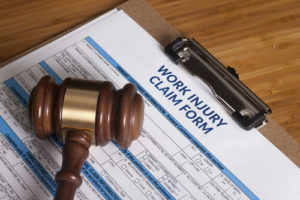 Are You Hurting Your Workers’ Comp Claim? Meet all deadlines and requirements of the S.C. Workers’ Compensation Commission. Don’t let your case be dismissed on a technicality. Our knowledgeable workers’ comp attorneys can ensure you are following the rules so you don’t jeopardize your claim. Attend all appointments and follow doctor’s orders. If the doctor assigned to your case by the insurance company reports that you are not doing what he or she prescribes as treatment, this will be used as evidence that you are not truly injured or ill.
Open up to your doctor. The doctor assigned to you must document your injury, treatment, and recovery for your claim file. Be open and honest about your pain and suffering, as well as about any progress and setbacks during your recovery. Don’t exaggerate, but don’t downplay what is happening. Talking to your doctor is often the most effective way to get what you are going through on the record. Be honest with your attorneys. Anything you say to your lawyer is confidential, so you should answer all questions from your legal team honestly and fully. Provide every detail you can about your accident or any of your prior injuries or pre-existing medical conditions. Be careful with insurers. Do not sign statements presented by an insurance company representative or agree to record a statement unless your attorney agrees to it. If you, your colleagues, family, friends, etc., are asked about your accident and recovery, let your attorneys know as soon as possible. Insurers may send private investigators to track you, and they may monitor your social media accounts for evidence to use against you. Our workers’ compensation attorneys in Rock Hill know what you are going through. We don’t want you to have to worry about how you’ll obtain benefits that will protect your financial future. Contact us today to discuss your claim, and learn how we can help. If you have suffered a workplace injury or work-related illness, you need an experienced and dedicated attorney on your side. Contact our knowledgeable workers’ comp lawyers in Rock Hill today to set up a free and confidential legal consultation. We can pursue workers’ comp benefits for you on a contingency-fee basis. So you will not pay a legal fee unless and until we obtain benefit payments for you.